Young people with Down syndrome are learning to grow and cook their own food, thanks to almost £600,000 raised by National Lottery players. 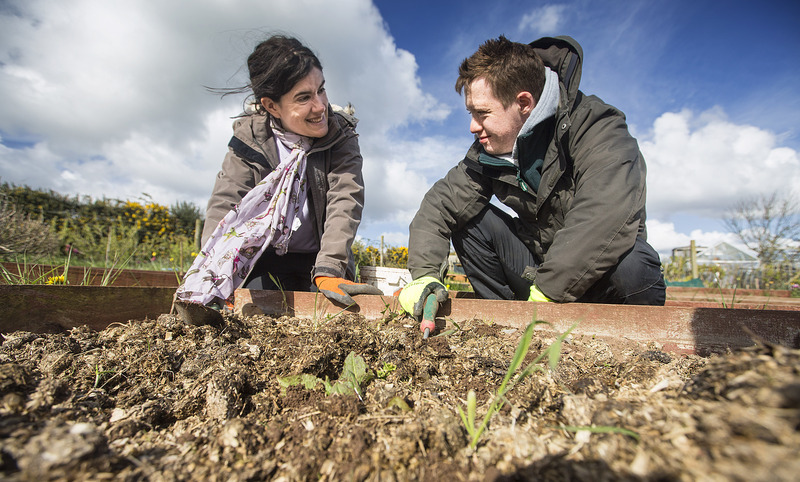 The four year Grow Cook Cater programme is run by L’Arche from their allotment in south Belfast, and is helping young people with learning disabilities feel more confident and develop their skills for independent living, volunteering, and employment. Activities include growing fruit and vegetables, cooking, taking part in social activities, and completing work placements. Back in 2016, L’Arche received £573,164 from the Big Lottery Fund to run this project. We chatted to Conor Boyle, now 24, about how L’Arche has improved his life. Conor, who has Down syndrome, has been taking part in activities at L’Arche since 2013. Conor lives in south Belfast with his mum Rosie, dad Michael, and sister, Louise. Since getting involved with L’Arche, his family have seen a big change in the young man. “It’s great that there are projects like L’Arche that Conor can go to. I know he loves it and it makes me happy seeing him come here and seeing the enjoyment he gets from it,” said Rosie. As well as being involved with L’Arche, Conor also works with the Orchardville Society, a charity that supports people with learning disabilities into employment and training. 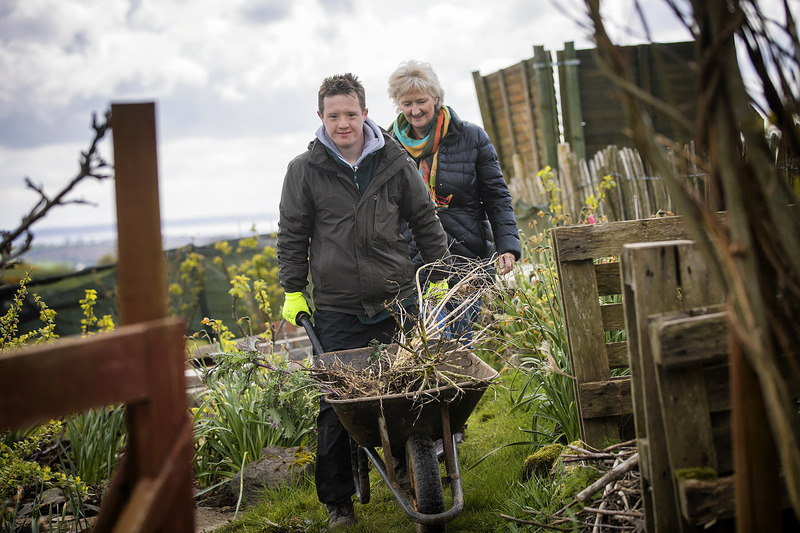 Rosie said: “Conor also works at the business centre at Orchardville which is good work experience for him but he’s definitely an outdoors person — he loves being out in the garden and the allotments. He also helps out at conservation volunteers and attends Tap 2, a course at college run through Orchardville.